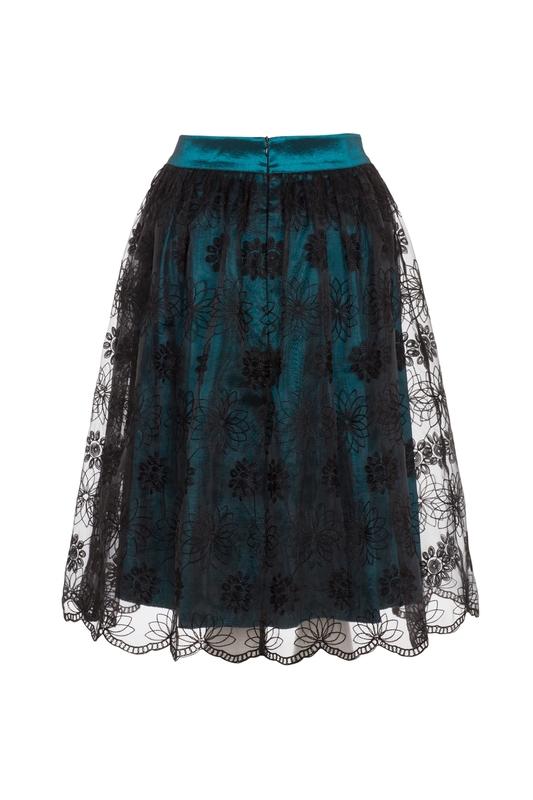 Float like a butterfly in the stunning Shannon skirt. 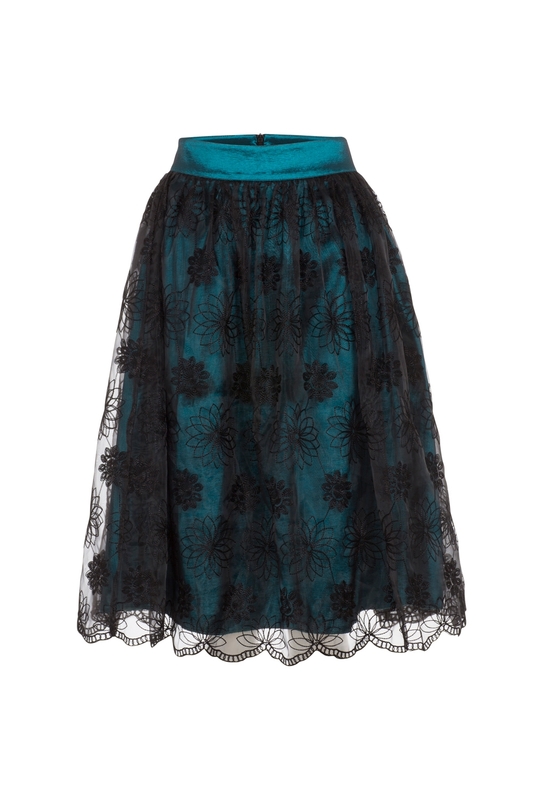 This beautiful piece is the perfect partner in crime for your winter wardrobe. 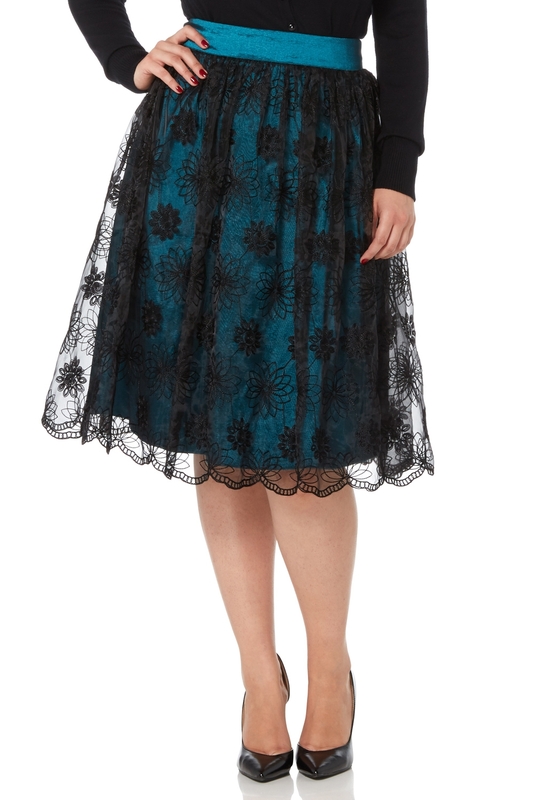 The striking teal colour and scalloped lace overlay make it a very piece.